theFoodette & Family: Great News & A Winning Recipe! Great News & A Winning Recipe! 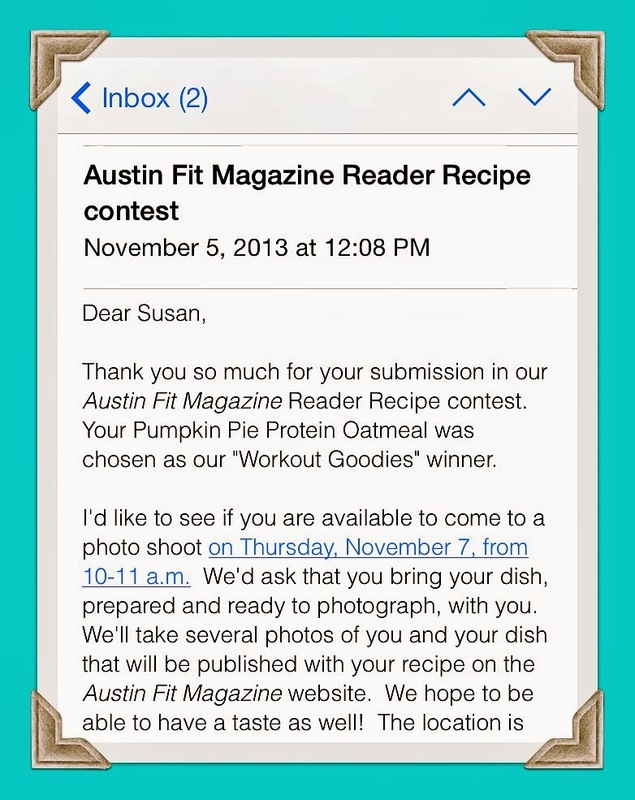 A few weeks ago I entered a recipe contest hosted by Austin Fit Magazine. They were looking for recipes in three categories: Healthy Remixes, Guiltless Desserts, and Workout Goodies. I almost didn't enter. I really thought I had zero chance at winning. There were going to be SO MANY submissions, what were the chances that they'd like MY recipe? WELL, THEY DID! I WON! I am thrilled to tell you that on Monday morning I will have my photo-shoot (I couldn't be there on Thurs.) 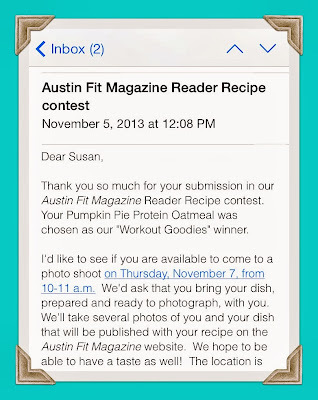 and I will be featured on the Austin Fit Magazine website with my awesome Pumpkin Pie Protein Oatmeal! As soon as I have more details about when it will be published I will let you know! YIPPEE!!! !